TEHRAN, Iran — Iran on Tuesday conducted one of at least two satellite launches it plans despite criticism from the United States, but the satellite failed to reach orbit, an official said. 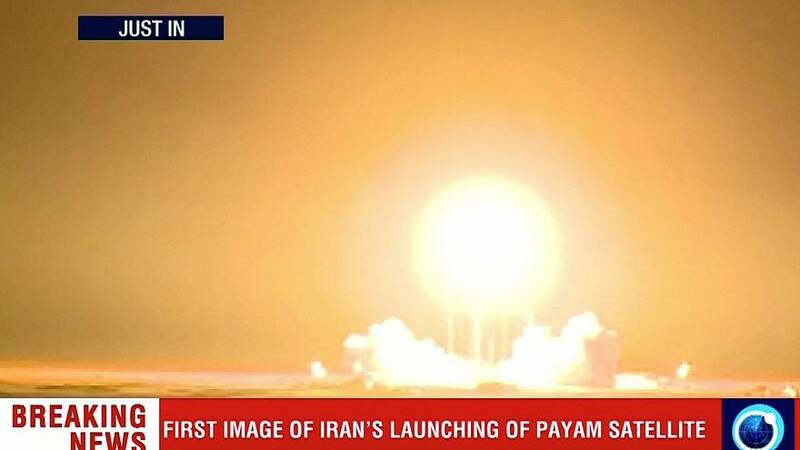 The rocket carrying the Payam satellite failed to reach the "necessary speed" in the third stage of its launch, Telecommunications Minister Mohammad Javad Azari Jahromi told Iranian state television. The U.S. is concerned that the long-range ballistic technology used to put satellites into orbit can also be used to launch warheads. This year will mark the 40th anniversary of the revolution amid Iran facing increasing pressure from the U.S. under the administration of President Donald Trump. Secretary of State Mike Pompeo has said that Iran's plans for sending satellites into orbit demonstrate the country's defiance of a U.N. Security Council resolution that calls on Iran to undertake no activity related to ballistic missiles capable of delivering nuclear weapons.